Issues of authority, race and identity have come to the forefront in our national news and community dialogue. Over the summer, police involved shootings and violence led to crisis and deep loss in our communities. Many of our youth are returning to school without having addressed or articulated their feelings or thoughts. Fear and confusion are present for many youth and communities. 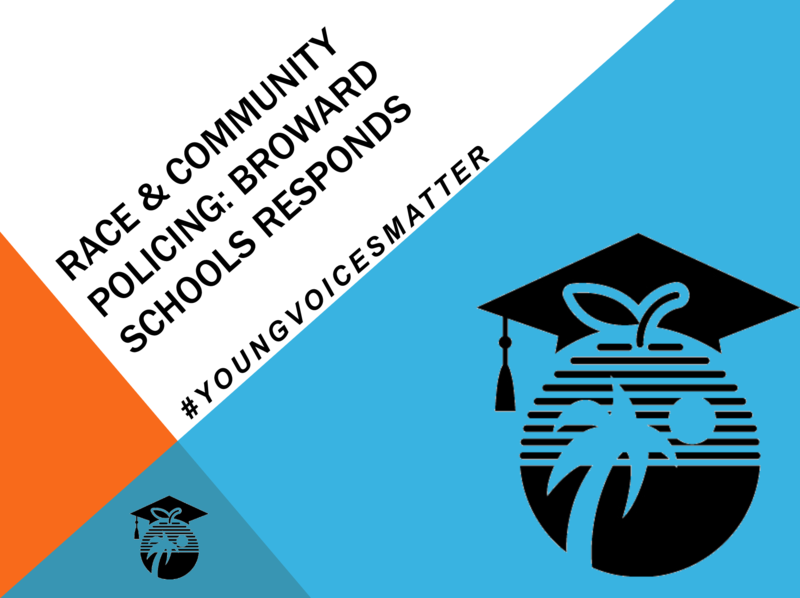 Broward County Public Schools has worked to provide a structured forum for our students' young voices. We want to enable our students to use this voice to understand, to listen, and to promote positive change in our communities. The Office of Academics has begun and will continue to provide supplemental materials around the Social Justice Debate Initiative and protocols for Courageous Conversations about race. In addition, social and emotional support services for students will continuously be updated to make all parts of this dialogue educational and engaging in an environment that is secure. For assistance in implementing debate across curriculum, please reach out to the debate teacher at your school. They are excited to support all student voices! For implmentation in elementary schools, please contact the Applied Learning Department. Please contact the following regarding questions or concerns.